In a fit of rage, French President Emmanuel Macron has recalled his Ambassador to Italy for consultations. In diplomatic parlance, a nation recalls its Ambassador for ‘consultations’ when it wishes to express extreme displeasure to another country. Let alone recalling an Ambassador, it is very unusual for two senior (and founding) members of the European Union to air their differences publicly. Disagreements in the past have been settled amicably and quietly. In March 2018 elections in Italy, the center-right alliance, in which Matteo Salvini‘s League emerged as the main political force, won a plurality of seats in the Chamber of Deputies and in the Senate, while the anti-establishment Five Star Movement led by Luigi Di Maio became the party with the highest number of votes. The center-left coalition, led by Matteo Renzi, came third. As a result, after protracted negotiations, a new coalition government was formed with law professor Giuseppe Conte being appointed as the prime minister with support from the League and the Five Star Movement, even though he did not run for the Italian Parliament. Salvini and Di Maio were appointed vice premiers. Since then, unable to find common ground on a series of issues, relations between France and Italy have deteriorated. Italian Vice Premier Salvini has expressed willingness to ‘reset’ relations but insist, several issues need to be addressed. Italy has demanded the return of left-wing Italian militants, currently in France evading arrest. Another reason is the French insistence on returning illegal migrants crossing to France from Italy. The latest spat came when Vice Premier Di Maio met with ‘Yellow Vest’ protestors and posted photographs on Twitter. Yellow Vest protest group is planning to contest in the European Parliament elections in May. The French were outraged and called the meeting “unacceptable provocation.” Di Maio was warned not to interfere in French politics. President Macron then ordered his Ambassador to return to Paris for consultations. The three-month-old ‘Yellow Vest’ movement is not a militant or terrorist group. They are campaigning against what they see as rising social inequality and a government mostly indifferent to the concerns of ordinary people. They are hostile to the French government, especially to Macron. The Franco-Italian spat need be examined in the backdrop of the US, UK, EU, French, German, Norwegian and Indian meddling in affairs in Sri Lanka. It is not a secret, Britain’s involvement in the affairs of Sri Lanka is due to no small measure for ‘electoral aims’ and gains. Until May 2009, these nations interacted with LTTE terrorists, often inside their embassies in Colombo and in their respective countries. Whereas France takes umbrage over Vice Premier Di Maio meeting with a group French protesting over social inequalities, she and its western allies regularly send politicians and bureaucrats to hob-nob with local politicians in Sri Lanka openly. Tamil National Alliance (TNA) leaders make regular pilgrimages to their places of worship (foreign missions in Colombo) to meet up with minor deities arriving from these countries and seek divine intervention, especially in the Constitution project. That said, it is to be expected as Sri Lanka is blessed with leaders who opt to resolve issues with the assistance of western ambassadors in Colombo rather than our own Supreme Court, as observed during the October political crisis. Some justify it as geopolitical realities. Politicians everywhere like to put their sticky fingers in other peoples (countries) business. Of course, as you say, if our people turn to the foreigner, what do you think happens? The foreigner is flattered and looks to be ‘helpful’. Well, if our devious politicians had governed us better we would not have ended up flooding the rest of the world with asylum seekers and refugees. Do you remember 1983? – you were in Wattala at the time – that black July was the last straw. We had pushed our Tamil brethren past the point of no return. Their young hotheads decided to fight back. In months, the rest of the world started getting the first refugees. JR exported our problem to the rest of the world. Now we complain that they interfere. How queer! Mr. Jayaweeera, Like France, it seems that Sri Lanka needs a a massive Yellow Shirt movement that unites all ethnic and religious communities to fight against rising inequality, poverty and ALL the Corrupt Politicians who have put Sri Lanka into massive Debt trap and the IMF-Wold Bank Middle Income Country (MIC) debt trap “Bailout Business”. Today we have fake statistics about poverty. DCS has put the poverty line at LKR 4,500 per month which is less than the global poverty line of 1.5 US$ a day. 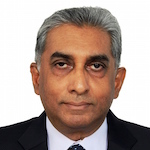 During 2018-2022 the increase in Sri Lanka’s debt servicing of US$ 5 billion is driven by the maturing of US-Euro dollar International Sovereign Bonds according to the head of the External Resources Department (ERD) Ms. Visaka Amerasekera and not by loans to China. The names of the big US Banks and Sovereign Bond traders and their unethical lending practices are not revealed to the public. This information like the Bondscam Report is “embargoed” . Why? Citizens of Sri Lanka have a right to know the local and foreign actors and networks that have put the people in a foreign debt trap and IMF Bailout Business. Relations between France and Italy were always strained but now it is showing. Italian Co-Vice Premier Salvini demanded the return of left-wing Italian militants, currently in France evading arrest. France insisted on returning illegal migrants crossing to France from Italy. Smuggling humans across is big business. Recently a Lankan diplomatic passport holder tried to take his entourage into France but was prevented. Co-Vice Premier Di Maio met with ‘Yellow Vest’ protestors and posted photographs on Twitter. This crossed into indecent territory. President Macron then ordered his Ambassador to return to Paris ‘for consultations’. Is there a parallel between the above and TNA? Rajeewa Jayaweera can manufacture the parallel. Rajeewa is telling TNA ” Do what HE says”. Go ahead and guess the HE. Relations between France and Italy were never good. By the way, human smuggling is big business. Recently a Lankan diplomatic passport holder’s effort to take his entourage was thwarted. Co-Vice Premier Di Maio met with ‘Yellow Vest’ protestors and posted photographs on Twitter. This crossed way way out of protocols. One just cannot see a parallel here with UK, EU, India, TNA and SL. Rajeewa Jayaweera weaves a parallel. Rajeewa advises TNA “Do what HE says”. The ‘HE’ is ‘His Excellency’.